Ahhh, it’s that time of year again when the weather breaks and we can all get off the treadmill and go outside without freezing! 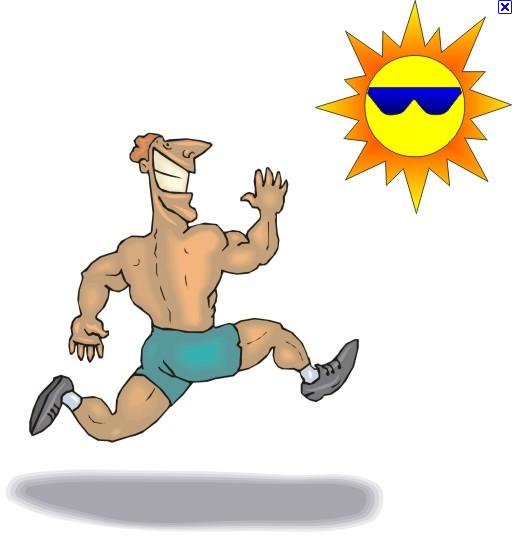 Though not an actual picture of me running in the sun...the smile is accurate. I’ll admit that I’m a fair weather runner. Lots of my running friends tell me they go out when it gets into the 40s (or run all winter…crazies), but I love the warmth! I don’t hit the running trails until it’s closer to the mid-to-upper 50s. I just hate to be cold on a run! Regardless, let’s talk training! I run on the treadmill even during the summer and save only a couple runs a week to the outdoors. This is mainly because I get my training in at 5:00am and year round it’s dark out at 5:00am so I’ll stick to the bright soft lights of LA Fitness. Basically, I’m an early morning gym rat. Some call it the Dreadmill, but with ESPN in front of me I can almost run all day on that thing! Last time I promised to chat a bit about speed training including Tempo Runs and Intervals. Before I do though I want to say that speed is relative. If I suddenly became independently wealthy, was able to quit my job and started training like a full-time olympian there is still a good chance that I would never develop Kenyan-esque speed…. When I started running back in December 2009 I was a 5.0 to 5.5mph runner. I was training primarily to finish a race and lose weight. I didn’t care how long it took me as long as I beat the meat wagon to the finish line. After I had a couple half marathons under my belt last year I decided to start trying to finish a bit faster cause I, like a lot of other runners, have aspirations of a Boston Qualifying time in the future. Aside from running in Athens I believe that Boston is running mecca! Right now I am no where near a Boston Qualifying time, but I’m improving! For speed work I alternate Tempo Runs and Intervals each week. 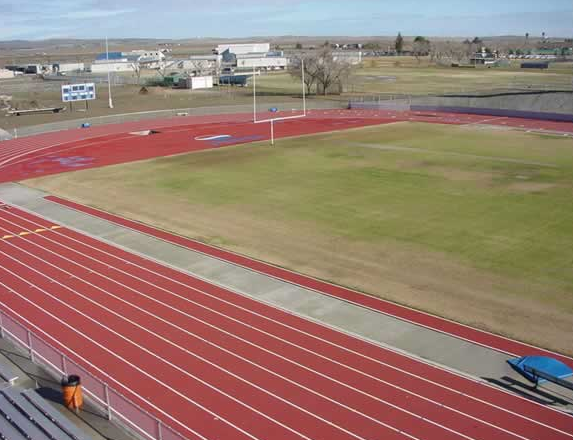 Intervals are pretty straight forward and I like to do them on a treadmill though if you have an outdoor track at a local high school near you then some folks prefer the outdoors. The treadmills at my gym have a picture of an oval track on them and once around, just like on a standard high school track, is a quarter mile or 400 meters. So a lot of times you’ll hear about people doing 400m repeats or 800s (1/2 mile repeats), 1200m (3/4 mile), or finally 1600m (1 mile). Each one has it’s challenges. At the moment I am working up to 10 x 400m. Between each 400m repeat I slow down and run a much slower lap to recover. It’s also okay to walk a bit for the recovery section if you aren’t used to this type of training. When I first started doing these last year I did walk during the recovery. For me I do the Intervals one week and the Tempo run the next week then continue to alternate week to week. When I started doing 400m repeats this time around I started with 4-5 intervals and then added one each time the interval training came up on the training schedule. Currently I am up to eight 400m repeats and my speed has improved a lot! The realization came to me a couple weeks ago that I am no longer a 5.5mph runner. In fact, I’m no longer a 6mph (10min/mile pace) runner. I’m getting close to where I am maintaining a 9:30 pace or better for 10K distances and above. Still, this is a far cry from a Boston Qualifying time so I have a lot of work to do! The Tempo run is a curious thing. Some think, what’s the difference between a Tempo run and a Pace run? Well there are similarities! Both are run at higher speeds than your normal pace. For me, a Pace run is ran for a specific distance like 5-6 miles while a Tempo run is ran for a certain amount of time like 30-60 minutes. A Tempo run is broken up into three sections. The first third is the warm-up building to my “normal” pace. The second third or middle section is ran for a faster pace. I like to describe this middle section’s pace as faster than you feel comfortable with, but can maintain for the allotted time. For me, the middle section of my Tempo run is ran faster than the pace I use for my Pace run. Of course the distance I cover in this middle section is less than the distance of my Pace run. In a sense, a Tempo run is like an extended single interval. However, considering the longer distance of this type of training, the speed of a Tempo run as compared to my speed during a 400m interval is much slower. Make sense? I’ll have a couple examples in a moment to clarify between the three runs. Finally, the last third of the Tempo run is again ran slower at your normal pace and tapers to a cool-down in the last 1-2 minutes of the run. Here’s a couple examples of my speeds for a recent set of Intervals and a Tempo run. Intervals: I jog at 6.0mph for a quarter mile between 400m intervals to recover. For good measure I’m also going to add an example of a recent Pace Run I did to show the difference between the three types of runs. Warm-up in the first few minutes or however long it takes for you to feel ready to go! I do this in the first 5 minutes of the run. You could bike too just be sure to warm-up! Build to the target pace which for me was 9:22 min/mile pace. Continue at this pace until you reach the target distance. Cool-down at a slower pace for an additional half mile. Smile at the exhilaration you are feeling. Remember the above examples are JUST examples. I worked up to these speeds and for some runners these may be quite slow! Speed training does work, but don’t worry about it if you are training for your first race. First timers should train to finish and have fun above all else! Speed comes with time and you can’t make yourself go faster sooner than your body can adapt. Finally, if you have speed training in your workouts delete it from your schedule 2-3 weeks from a race to allow your body time to fully recover and to be prepared for the race. Previous PostIndianapolis Mini-Marathon Training Series 10KNext PostI must be crazy errr…or Goofy in this case.